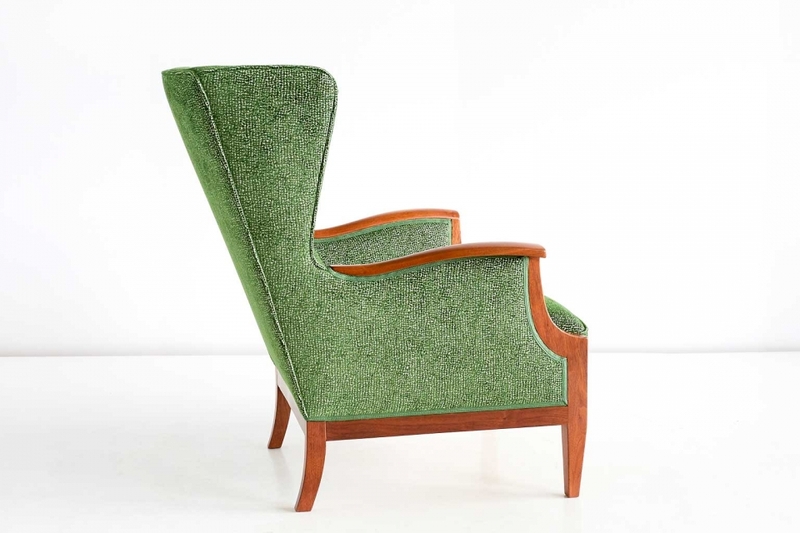 This rare wingback chair was designed and made by Danish cabinetmaker Frits Henningsen in the mid-1930s. The particular model was exhibited at the 1933 exhibition held at the Industriforneningen in Copenhagen. 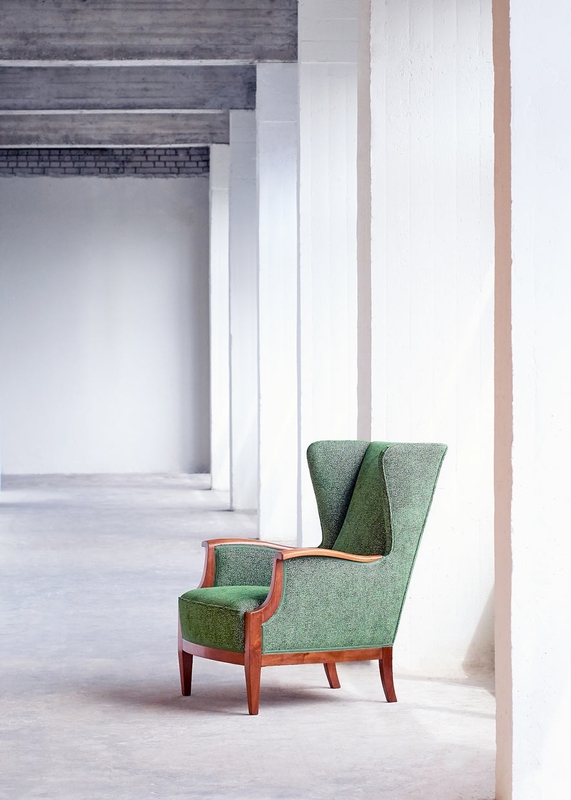 A striking example of Henningsen’s craftsmanship, this comfortable armchair is characterized by the elegant construction of the mahogany frame with its tilted back, and the fully sprung seat. The chair is in excellent condition. 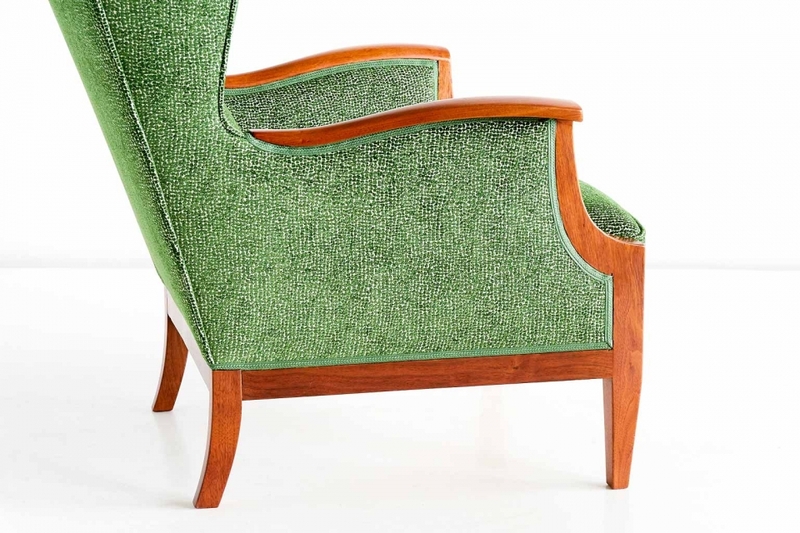 It has been entirely reconditioned and newly upholstered in a meadow green chenille fabric by Rubelli. The wood has been refinished. References: Grete Jalk, Dansk Møbelkunst gennem, 40 aar, 1927-1936, Copenhagen, 1987, p. 157 Sotheby’s New York, Important 20th Century Design, 15 December 2012, lot 81. Condition: Excellent. The chair has been fully reconditioned and newly upholstered in a Rubelli “Sun Bear” fabric. The wood has been refinished.